That's all I can say right now. 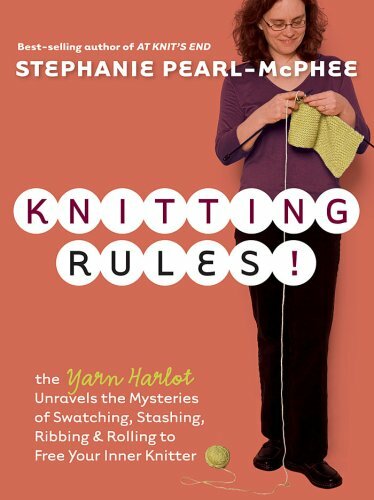 Yesterday afternoon the lovely and totally awesome ladies of Knit Social announced that they will be hosting Stephanie Pearl-McPhee in Vancouver for 2 days in July. That's right people...THE Yarn Harlot will be in in VanCity. Next month. For TWO whole freakin' days of pure amazeball knitting awesomeness. Yarn. Freakin'. Harlot. I'm losing my freakin' mind here. How many times can I say the word "freakin"? I wish that I could go, but sadly I won't be able to. The timing just isn't right, which makes me sad. I read on her blog about how the Yarn Harlot is always flying to and from Vancouver but is never actually in Vancouver. I don't even know when the last time she did anything in Vancouver. So this really is quite the treat for us Canadian West Coasters. For anyone who can go, check out the Knit Social website for more details here. And if you can go, please, come back and report! I need to know how amazing the Yarn Harlot really is! ...wanna hop on a ferry and sneak in? No one would notice there were two extra bodies in the class, right?